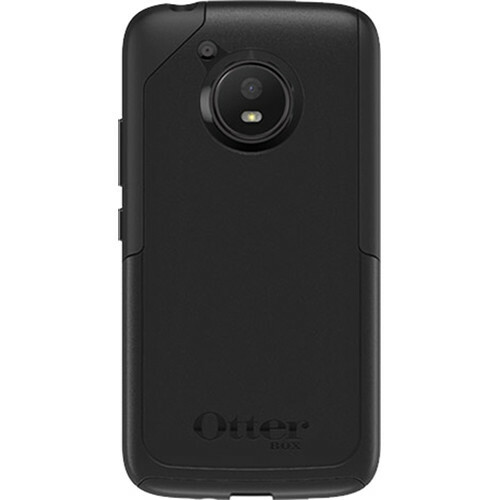 Protect your fourth-generation Moto E smartphone with an Otter Box Achiever Case in black. This case keeps your device safe from drops and bumps and features dual-layer construction, with a soft synthetic rubber interior and hard polycarbonate exterior. A raised lip protects the screen when laid face down. Box Dimensions (LxWxH) 8.3 x 4.2 x 0.9"
Achiever Case for Moto E 4th Gen. (Black) is rated 5.0 out of 5 by 2. Rated 5 out of 5 by Daniel from Decent Though it fits well, the case could be a tad tighter. But it does give good protection to all places including the screen. The buttons are a tad hard to push, but it may be the phone. overall it is comfort able to use and has a decent grip.